Free Shipping Included! VIVOSUN Black and White Panda Film 10' x 50' 5.5 Mil Poly Film by VIVOSUN at Sun Light Village. MPN: CNMX-Hardlines-554115. Hurry! Limited time offer. Offer valid only while supplies last. View More In Reflective Film & Foil - Page 3. 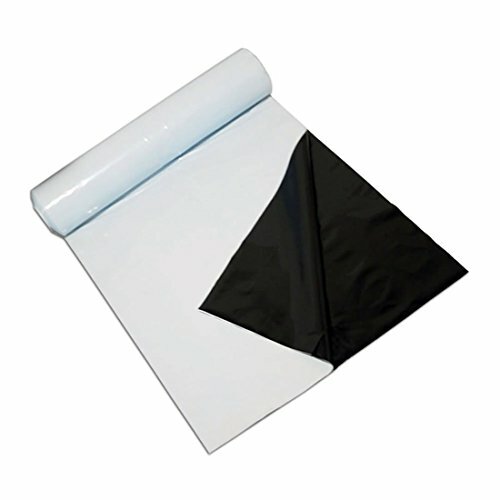 This panda film is 100% light proof and made from 100% virgin material. The black side provides a light resistant partition. The white side is over 90% reflective for use on the walls and floor, which reflects bulbs' light back to plants.